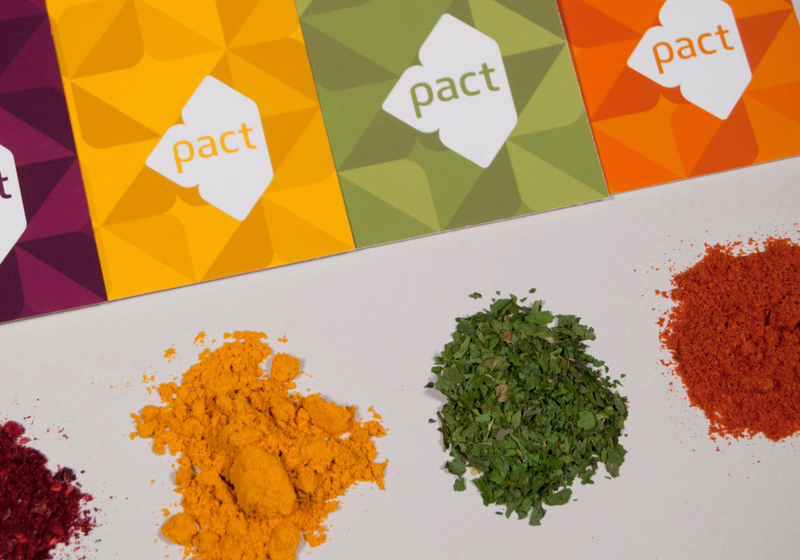 Since 1971, Pact, a global NGO (non-governmental organization), has been leading sustainable development efforts in 62 countries around the world. 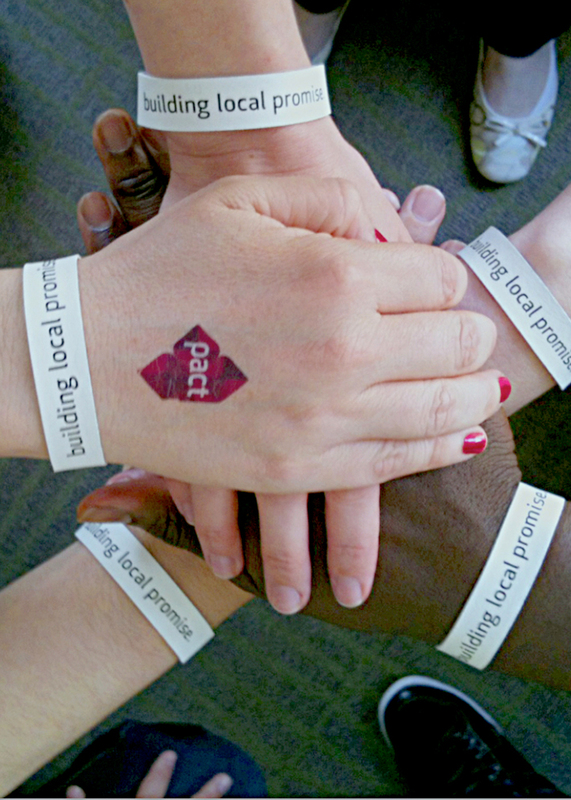 In order to diversify funding streams and build internal alignment, the organization partnered with Minelli to develop a strong and memorable brand that would extend the nonprofit’s value to a wider range of supporters. 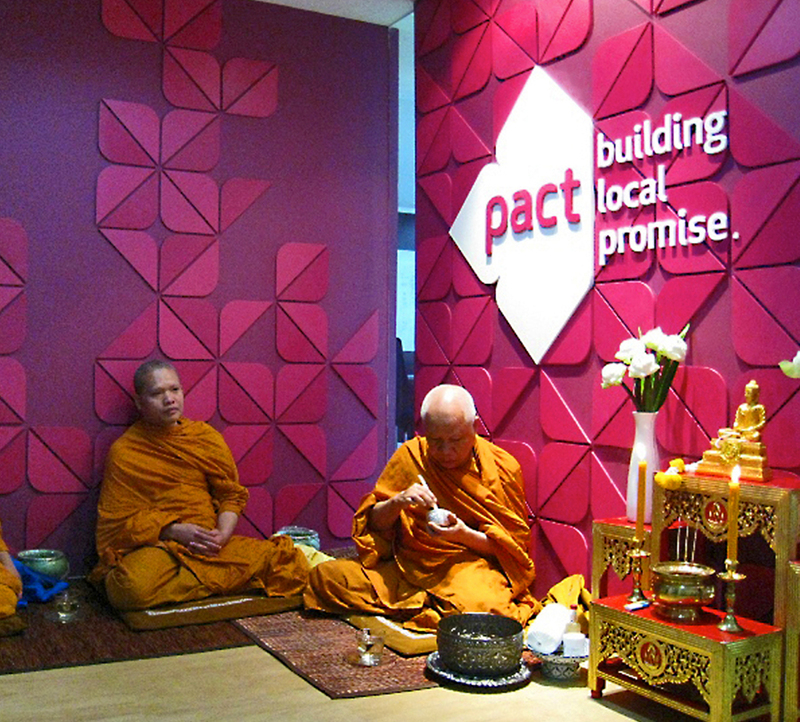 Translating Pact’s vision and work into an emotionally resonant idea —one that was overwhelmingly embraced by global staff—has transformed the organization. From building the appropriate governance and review structure, to fostering consensus at critical milestones, to providing staff with tools that will help them champion the brand in their respective roles, the new strategy and brand has improved the organizational culture, raised visibility, and driven action from new funders. As an important engagement component of their new brand, Minelli developed the Promise Wall where staff and partners across the world can express and share what a promise means to them. 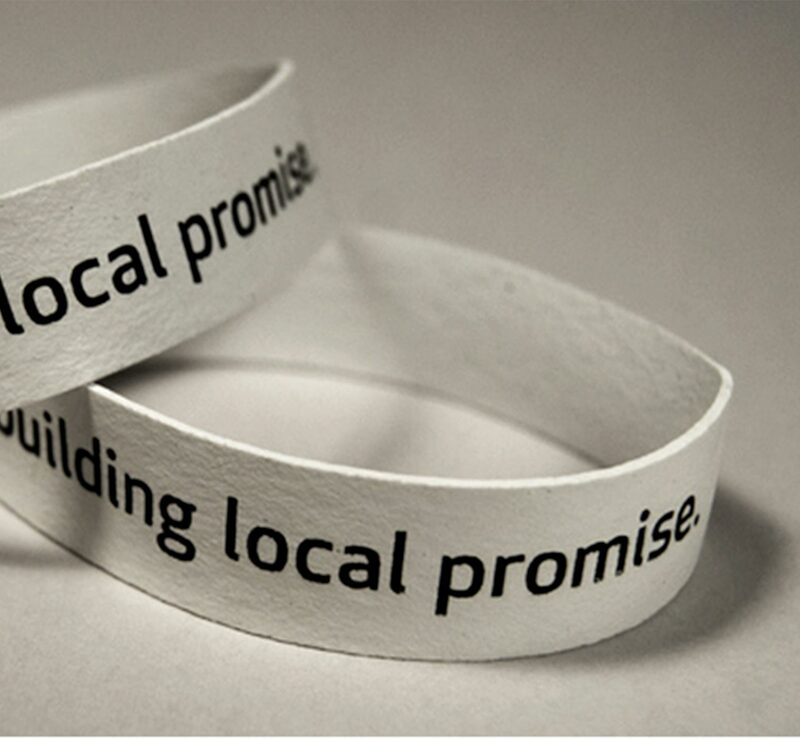 The campaign origins were decidedly “low tech” and allowed for participation in ways that were simple and meaningful regardless of immediate access to technology. The Promise Wall was employed to great success at the International AIDS Conference. 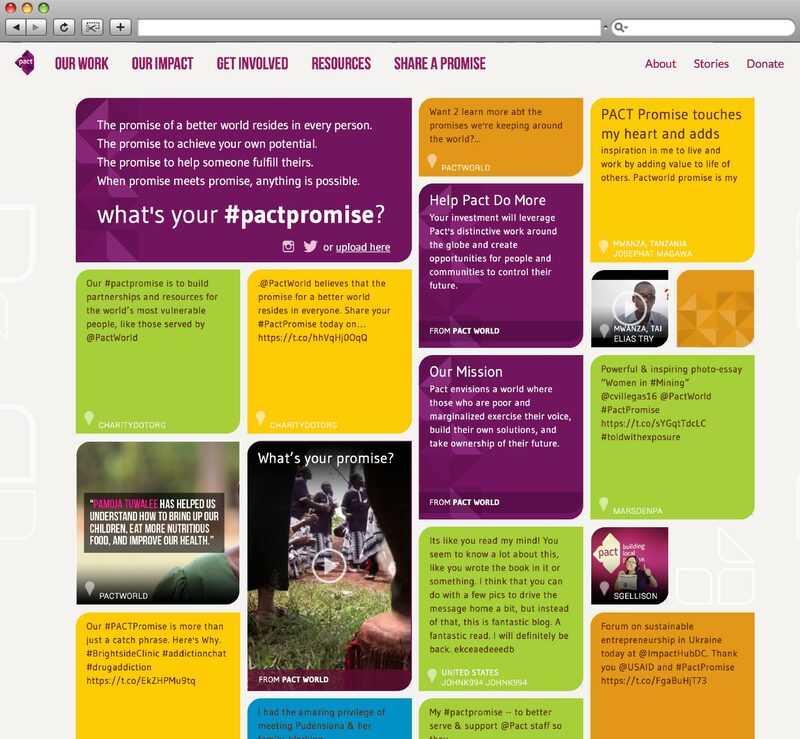 The initiative was subsequently adapted for web and mobile, allowing individuals to submit their promises through Instagram, Twitter or directly onto the Promise Wall landing page. The Promise Wall launched in May 2015. 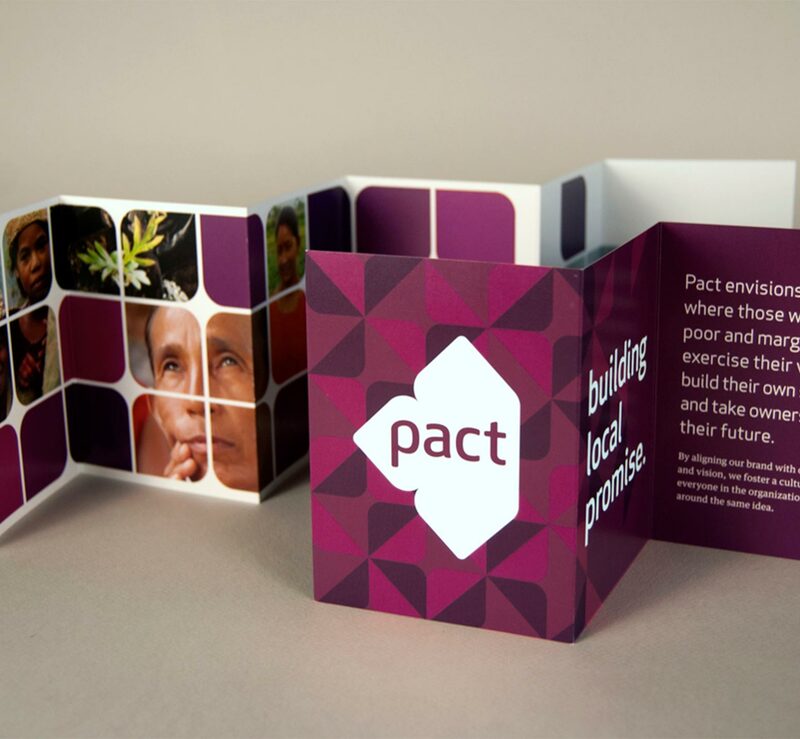 Helping Pact reduce their reliance on federal funding from 93% to 68%, Minelli’s work has helped create a more sustainable future for the organization where they can continue extending aid to communities in need. The new brand has significantly improved the organization’s internal culture, which has been ranked within the Top 100 in the Organizational Health Index. 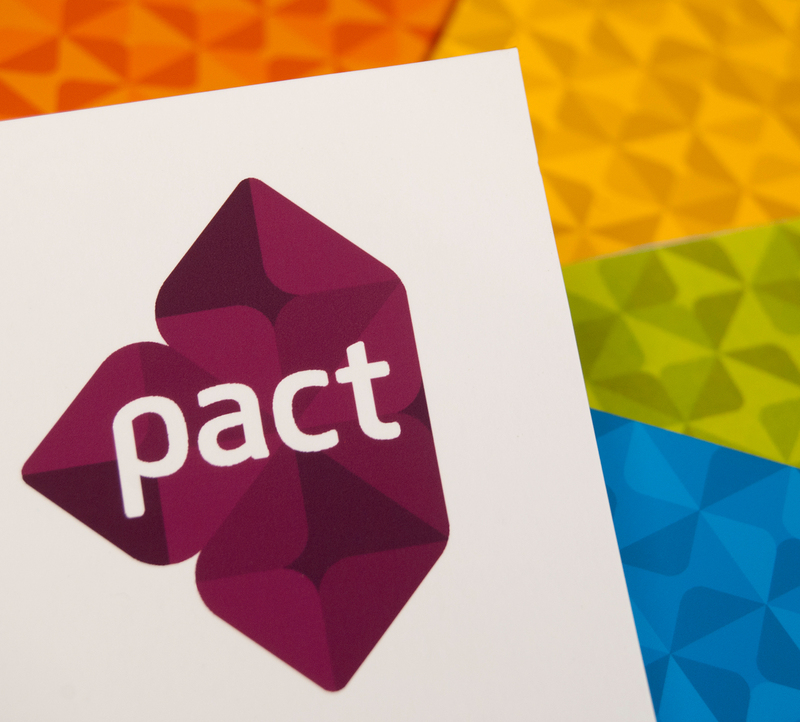 As a result of their success, Pact has developed partnerships with several notable organizations, including the Bill & Melinda Gates Foundation, the Rockefeller Foundation, Coca-Cola, and GE.